Hey everyone! Check out Nancy over at Spicie Foodie! Each month she does a Your Best Recipes post. Submit one of your best recipes of the month. It is a lot of fun to see other peoples favorite recipes of the month also. Then come back to my Cornbread. Carefully remove the hot skillet from the oven. Reduce oven temperature to 375 degrees F. Coat the bottom and sides of the hot skillet with the remaining butter. Pour the batter into the skillet and place it in the center of the oven. Bake until the center is firm and a cake tester or toothpick inserted into the center comes out clean, 20 to 25 minutes. Allow to cool for 10 to 15 minutes and serve. I think this is definitely a Best Recipe. Love your pictures too! 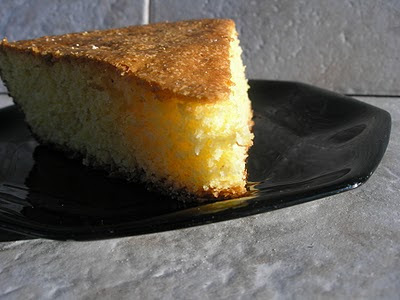 Exquisito cake se ve hermoso y bien horneado,te felicito tienes una linda cocina,me gustan mucho tus recetas y tu perfil,yo soy católica y cocinar es un placer,mi cocina es auténtica y tradicional de dulces y comidas de Chile,te invito a conocer,yo me quedo por tu cocina a seguir mirando,cariños y saludos que Dios te bendiga. Your recipes are quite good. Especially like your breads. 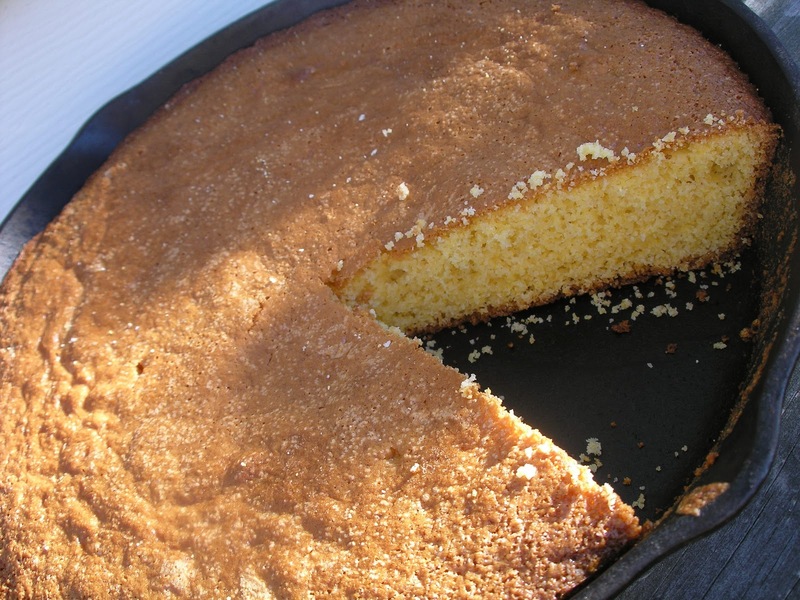 However, there is NO SUGAR in Southern cornbread—ever. Over the last two generations Southern cooks have been seduced into adding sugar to their cornbread recipes. In the Old South sugar was reserved for cornbread muffins–a breakfast treat influenced by Northern cooks. Cornbread was a bread staple made for ‘dinner’ and ‘supper’. Biscuits were for breakfast. Unfortunately, the addition of sugar has seeped into Southern recipes over time. I see sugared cornbread touted as ‘truly Southern’ all over the net. It’s not. Southern cornbread should be crisp on the bottom, created from the hot oil melted in a well seasoned black skillet set in the oven prior to pouring in the batter. It should be soft, light and tangy from buttermilk on the inside. It should be thin not thick because it’s not a cake. It’s a corned-bread. It’s unfortunate that the tradition of real Southern cornbread has been lost in the homogenization of the US.